Child Safety Door Locks, Electronic Brake Assistance, Locking Differential, Traction Control, Vehicle Stability Control System, Tachometer, Steering Wheel Mounted Controls, Tire Pressure Monitor, AM/FM Radio, Subwoofer, Second Row Folding Seat, Cargo Area Tiedowns, Cargo Net, Automatic Headlights, Front Air Dam, Heated Exterior Mirror, Deep Tinted Glass, Interval WipersThis vehicle has a CLEAR TITLE . All of our vehicles are New York State inspected for safety and reliability. LOW PAYMENTS and EXTENDED WARRANTIES are available. 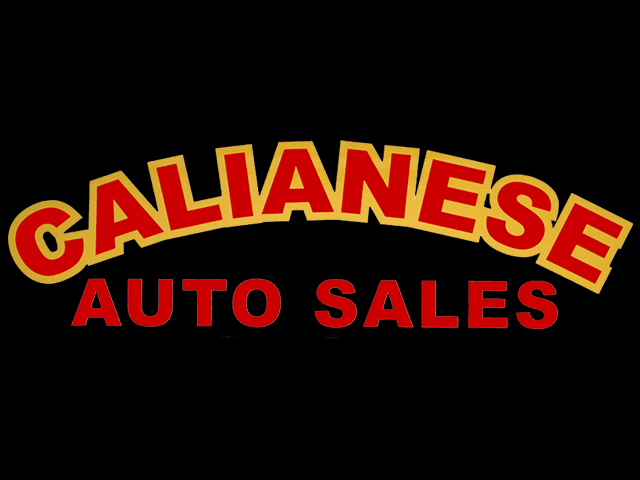 Call 315-853-cars(2277) to set up a test drive,or visit us online at WWW.CALIANESEAUTOSALES.COM.